Every design I create is 100% customizable. 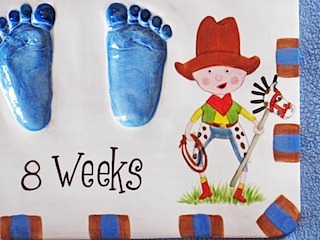 This "Stacked" design features an adorable little cowboy. 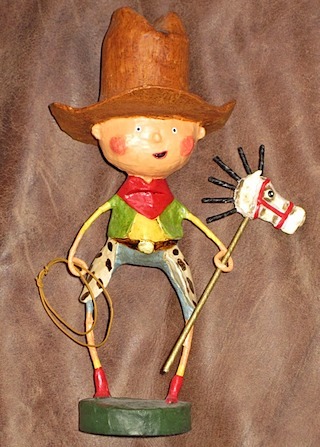 The baby's room has a cowboy design which centers around the cute little cowboy statue pictured below. I took a photo of the statue and glazed it onto the finished piece. What a beautiful, whimsical little keepsake to pass down for generations to come! 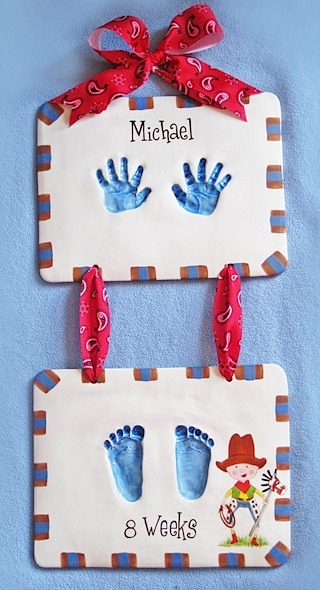 Let me design your customizable keepsake today. This design as you see it below is $165. Click on any picture to enlarge.